DoCrafts 5 STORAGE CASE POCKET INSERTS Gorjuss gor907421 at Simon Says STAMP! gor907421 This item is on reserve until If you would like to reserve this item now, you may purchase it now with the rest of your order. We will hold your order now and ship your entire order as soon as this item is back into stock. If you would like your order to ship now, please place this item on a separate order. 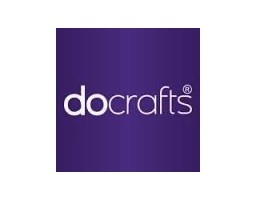 Success, DoCrafts 5 STORAGE CASE POCKET INSERTS Gorjuss gor907421 has been shared! Exclusively from Docrafts, Gorjuss returns with this stunning Postal collection. Bursting with new Gorjuss characters and some familiar favorites this range features lovely postal style designs and soft flowing patterns mixed together to create a beautiful, fresh, and light Gorjuss collection. Use these Storage Case Pockets to organize your Mini Collectable Stamps. Designed to be used with the Stamps, No. 41-60, each pocket fits perfectly into your Santoro's Gorjuss Stamp Storage Case.